Click here to access the Writers' How-to series for free! The Writers' How-to series offers professional guides on a variety of topics for writers. 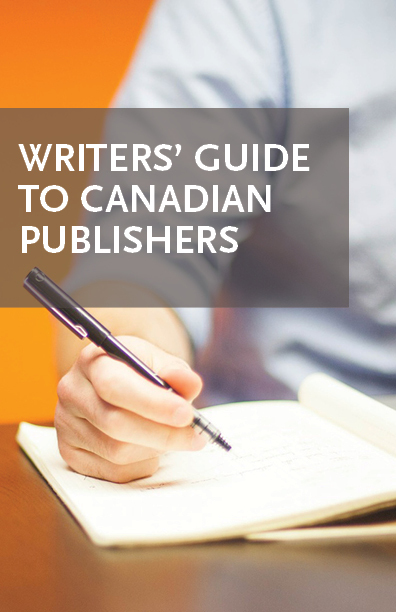 The Writers' Guide to Canadian Publishers is a searchable online database available as a one-year subscription. Publications offer information and advice on the business of writing and are available for purchase in PDF format online. Print versions are available by special order. Please contact the office at info@writersunion.ca or 416-703-8982 to order. Please note: Print publications are subject to an additional charge of $2.00 per publication to cover costs associated with printing, shipping, and handling. This searchable online database lists Canadian publishers who currently accept unsolicited manuscripts. Listings include informaton about genres, categories, and any specific submission instructions. 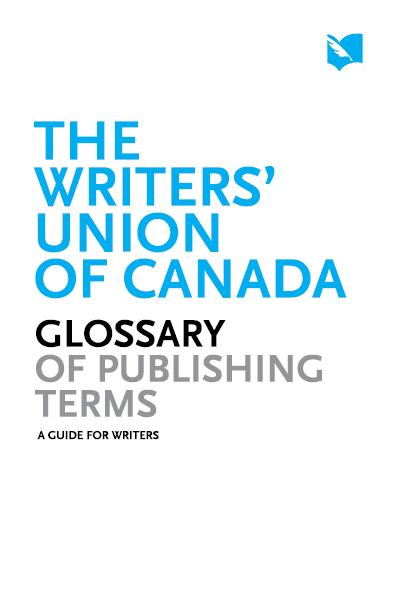 The Guide also includes a helpful introduction with quick tips on finding a publisher, submitting a manuscript, and negotiating a contract. 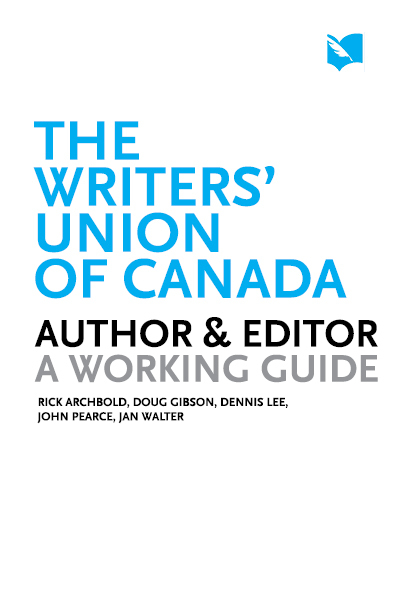 Click the Buy Now button to purchase a one-year subscription to the Writers' Guide to Canadian Publishers for $10.00. Once your order is processed, we will send you details on how to access the Guide through our website. Please allow 2 business days for your order to be processed. Select the publications you would like to purchase below using the Add to Cart button. Your cart will open in a new window, where you can review your selections before purchasing. When finished with payment, be sure to click the "return to Writers' Union" button. Your username and password will then be emailed to you for access to download your publications. Download every publication in the series for information and advice on all of the topics below. A practical tax guide for those in the business of writing that covers types of income and expenses, details about the GST, and incorporation. This publication contains information useful to all writers, whether you file your own taxes or have them filed by a professional. This publication covers wills and powers of attorney, literary estates and appointing a literary executor, and how to plan your literary archive. It includes comments from Shauna Singh Baldwin, Brian Brett, Terry Fallis, Lawrence Hill, Robert J. Sawyer, Susan Swan, and others. This in-depth guide covers the how and why of self-publishing, from editing and design to distribution and marketing. It includes information suitable for authors with both unpublished and previously published materials. This publication provides ideas for publicity and promotional activities that work, including a blueprint for your own personal book marketing plan. It features tips from authors Claire Cameron, Chris Chambers, Farzana Doctor, Christine Fisher Guy, Maria Meindl, Lana Pesch, and Russell Smith, with industry advice from Dundurn Press’s Margaret Bryant, Quill & Quire’s Sue Carter, and McNally Robinson’s Chris Harrow. If you have been offered a contract by a publisher, or anticipate such an offer in the near future, help is available. This package helps writers evaluate and negotiate contracts offered by publishers. 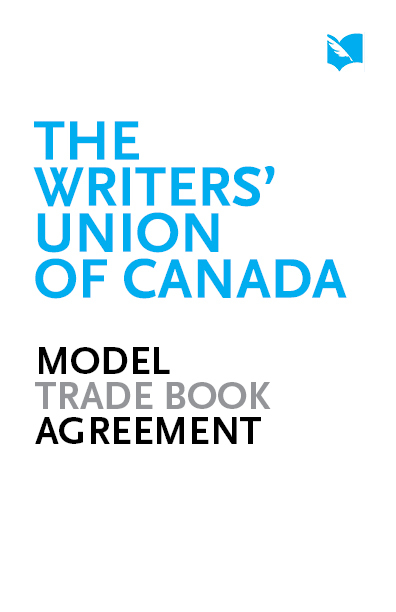 The Model Trade Book Agreement is an example of an equitable publishing agreement between an author and publisher. 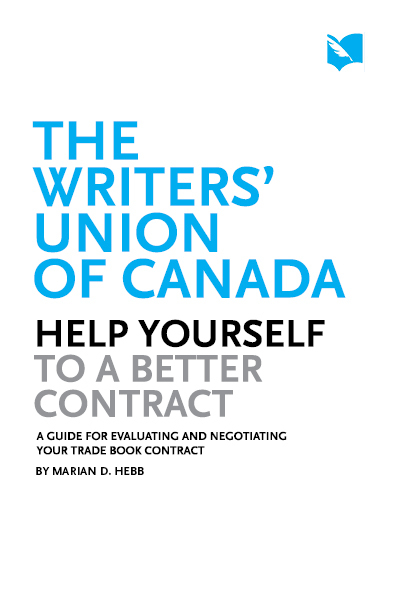 Help Yourself to a Better Contract (written for the Union by legal-counsel Marian Hebb) is a guide to the negotiation process, including a checklist of favourable contract provisions. This comprehensive model contract provides reasonable minimum terms for trade book contracts and is a useful comparative tool for evaluating your publisher's contract, complete with a model royalty statement. Checklist of favourable book contract provisions with advice on what to ask and what to watch for. Designed to aid writers in book contract negotiations with their publishers. Please be aware of the following: The Contract Self-Help Package usually answers most writers' questions about publishing contracts, and the Union encourages writers to evaluate and negotiate their own contract. A publisher's contract (like other personal contracts) is not written in stone — it is a document to be negotiated. The publisher should provide sixty days in which you may consider the contract offer and seek advice. If you wish to use any of the Union's Contract Services, you should contact the Union as soon as possible after receiving a publishing offer. 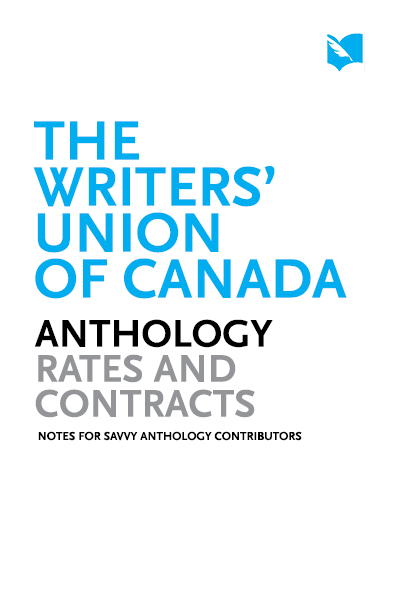 This document provides notes on contributions to anthologies, suggests minimum rates, and provides a suggested anthology contract. A booklet describing the relationship between author and editor, including a list of dos and don'ts for both parties. 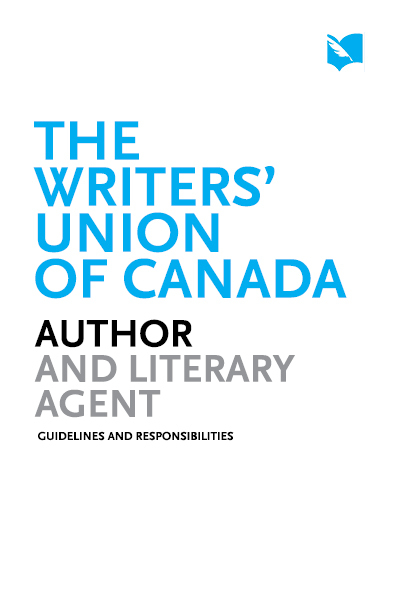 Guidelines and responsibilities governing the relationship between the author and the literary agent. 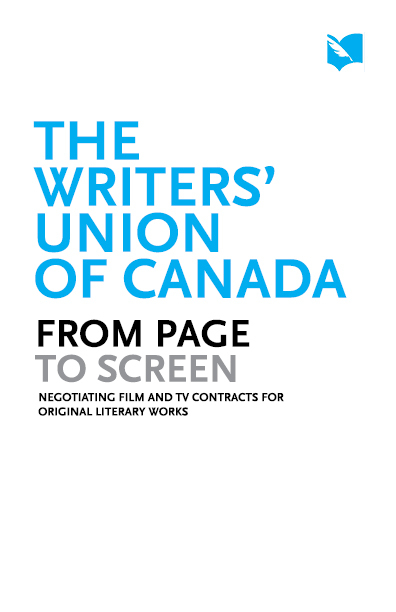 A reference guide regarding options, film, and TV contracts for original literary works, including information on minimum and maximum rates paid. 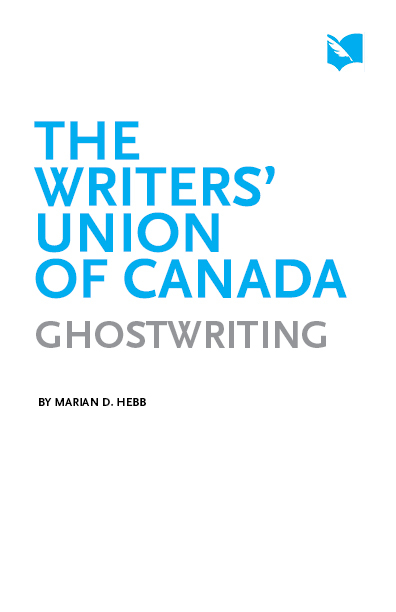 This publication includes various details to consider when negotiating a ghost writing agreement, including a sample contract. An aid to authors when dealing with the book publishing industry — usually during contract negotiations. Intended as a user-friendly, alphabetical reference guide to terms commonly used within the industry. 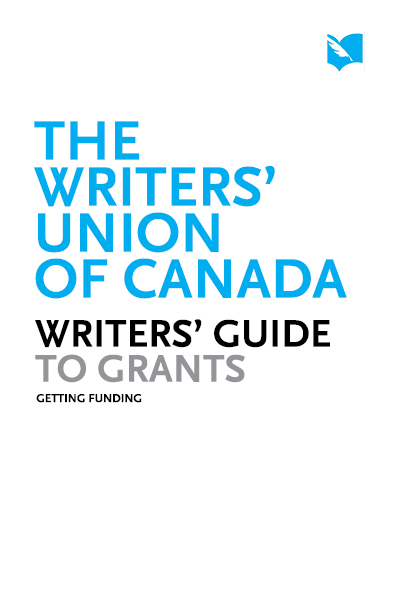 An informative list of grants available to Canadian writers; includes information about writing samples, types of juries and how they judge, and application procedures.